Executive summary of The Oslo Disaster, Begin-Sadat Center for Strategic Studies, September 2016. Viewed from a 23-year vantage point, the Oslo "peace process" between Israel and the Palestine Liberation Organization (PLO) stands as one of the worst-ever calamities to have hit Israelis and Palestinians. For Israel, it has been the starkest strategic blunder in the country's history – establishing an ineradicable terror entity on Israel's doorstep, deepening its internal cleavages, destabilizing its political system, and weakening its international standing. For West Bank and Gaza Palestinians, it has brought about subjugation to corrupt and repressive PLO and Hamas regimes – regimes that have reversed the hesitant advent of civil society in these territories, shattered their socioeconomic wellbeing, and made the prospects for peace and reconciliation with Israel ever more remote. This abject failure is a direct result of the Palestinian leadership's perception of the process as a pathway not to a two-state solution — meaning Israel alongside a Palestinian state in the West Bank and Gaza — but to the subversion of the State of Israel; not to nation-building and state creation, but to the formation of a repressive terror entity that would perpetuate conflict with Israel while keeping its hapless constituents in constant and bewildered awe as its leaders line their pockets from the proceeds of this misery. Palestinian leaders see the peace process as a pathway not to a two-state solution, but to the subversion of Israel. So long as things on the Palestinian side are permitted, or even encouraged, to remain as they are, there will be no progress whatsoever toward peace. 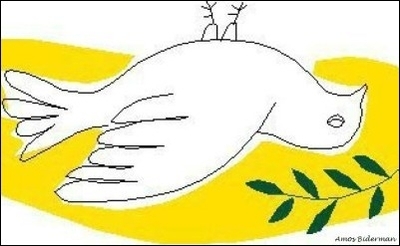 There will be no advancement towards peace in the framework of a French-initiated international conference, nor even in bilateral talks (were the Palestinians to be somehow coerced to return to the negotiating table). Just as the creation of free and democratic societies in Germany and Japan after World War II necessitated a comprehensive sociopolitical and educational transformation, so it will only be when Palestinian society undergoes a real "spring" that the century-long conflict between Arabs and Jews can at long last be resolved and a semi-functioning Palestinian state come into being. This requires sweeping the corrupt and oppressive PLO and Hamas rulers from power, eliminating endemic violence from political and social life, and teaching the virtues of coexistence with Israeli neighbors. Sadly, the possibility of a Palestinian spring, which seemed to be in the offing in 1993 when the PLO hovered on the verge of extinction and West Bank and Gaza leadership appeared eager to strike a historic deal within the framework of the Washington peace negotiations, has been destroyed for the foreseeable future by the Oslo "peace process." Read the full report: The Oslo Disaster, Begin-Sadat Center for Strategic Studies, September 2016. See also Efraim Karsh's article in the Fall 2016 issue of Middle East Quarterly, "Why the Oslo Process Doomed Peace." Efraim Karsh is emeritus professor of Middle East and Mediterranean studies at Kings College London, a senior research associate at the Begin-Sadat Center for Strategic Studies, and principal research fellow at the Middle East Forum.